Q-Mark Berko® Model FDI Floor drop-in heater generates excellent heat output using seven blade fan with impedance protected motor and steel finned, totally enclosed, steel sheathed nickel- chromium heating element. It offers 80 CFM of superior airflow. The 20-gauge cold rolled steel housing in sandalwood color, has baked enamel painted finish for effective corrosion resistance. It supports floor mounting. 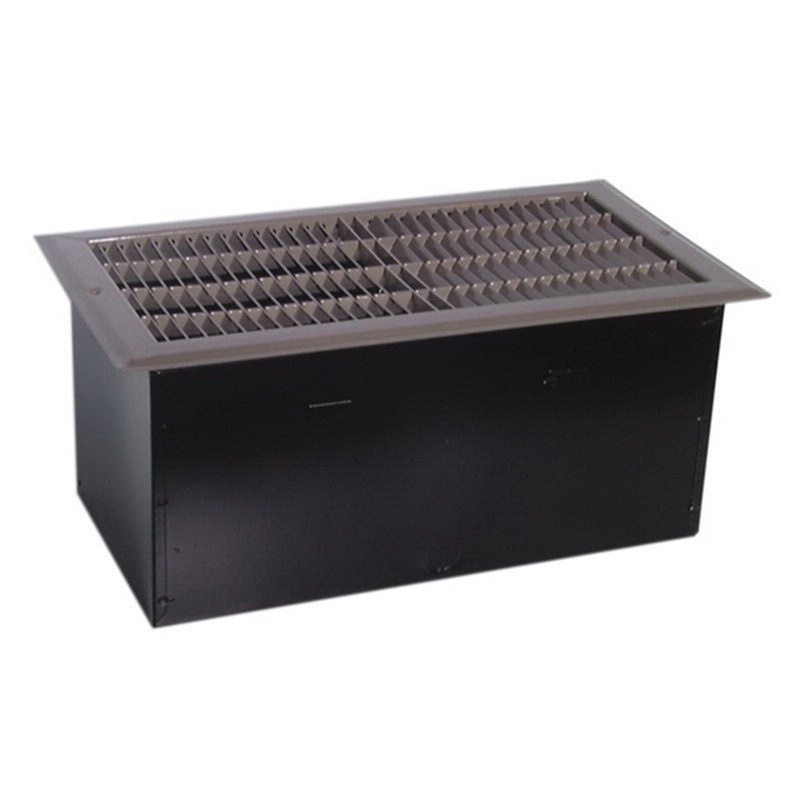 The heater is power rated for 750/1500-Watts and voltage rated for 120-Volts. It has a dimension of 8-3/4-Inch x 15-3/4-Inch x 6-5/8-Inch. Heater is cULus listed.